I had seen The Alchemist by Paulo Coelho in book shops for many years, and always wondered what it was about. Why is it so famous, and why had millions of copies been sold all over the world? I was intrigued by the title, and curious to know why it was often in the 'Mind/Body/Spirit' category in my favourite bookstore (Borders). Well, I finished reading this book yesterday, and am pleased to say I can now answer these questions. 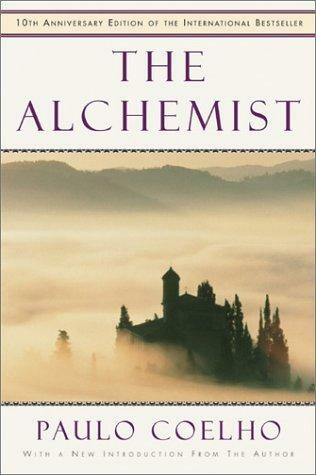 The Alchemist is a simple tale about a shepherd boy, and his search for meaning. He encounters many obstacles on his journey (Personal Legend) to Egypt, and meets several key characters that teach him many valuable life lessons. These lessons and his own observations of human nature are extremely relevant in today's society regardless of culture. Obviously this is a key reason the book is such a worldwide success. If a person was struggling to find meaning in their life, or the courage to pursue a personal dream, I would certainly recommend this book. It is also worth reading for the little fables and truths along the way. trace, sounds like another book that'll i'll have to add on to my list!